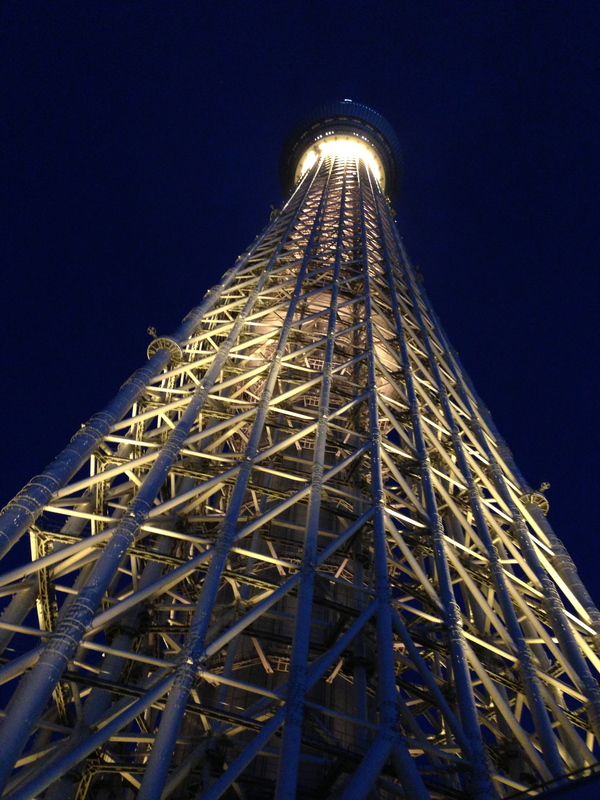 The Tokyo Skytree is the tallest structure in Japan and the tallest tower in the world. It is pretty new, opening in May 2012. Hisae got us tickets to see it on Thursday evening. It was the perfect time because we got to see it in the bright sun and then see the view change as the sun went down that evening. 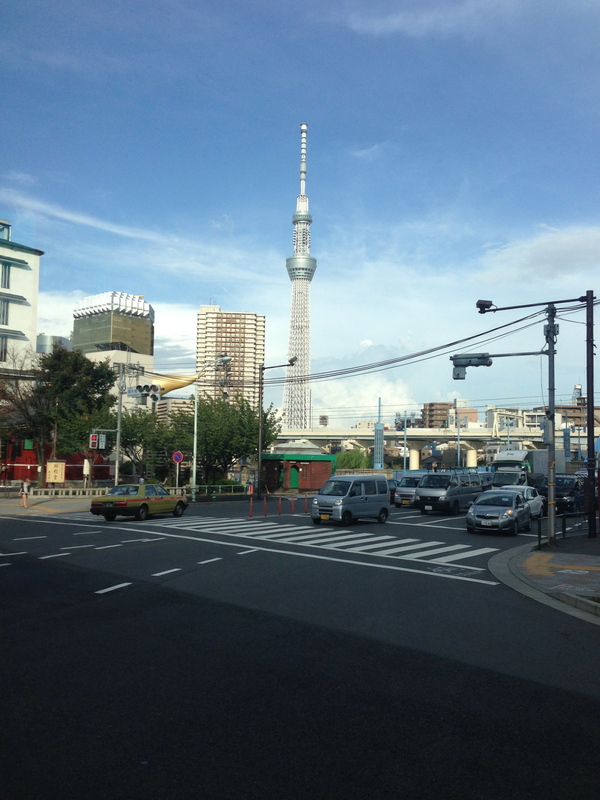 We took a comfy Skytree bus to get there…it was a nice change of pace from standing on the trains! 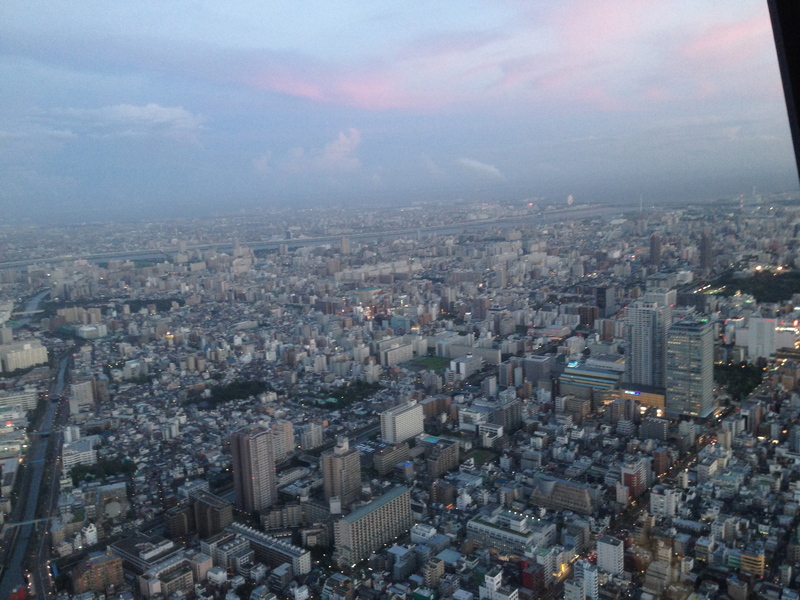 As with most of Japan, there is plenty of shopping inside the Skytree. We did a little bit of shopping and snacking before we shot up in the elevator. The sun was setting and painting the sky perfect shades of pinks, purples and golds. 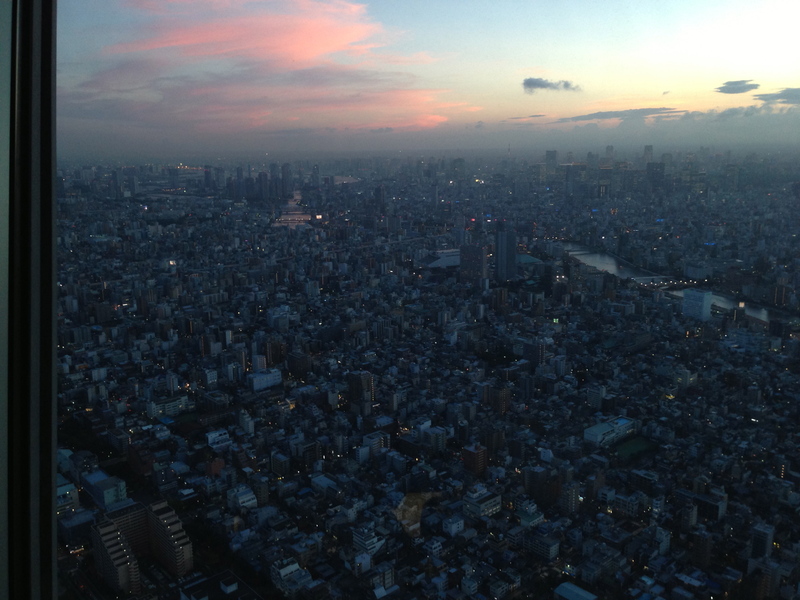 It was interesting to notice that Tokyo looks like any other large city from two thousand feet in the air. 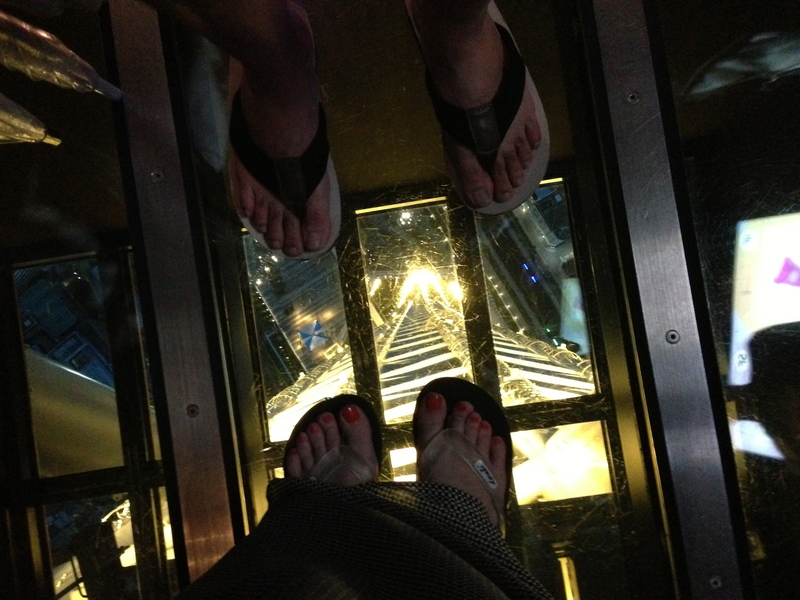 There is a glass bottomed section in the Skytree that made us feel all daring as we stood on it, tempting fate. 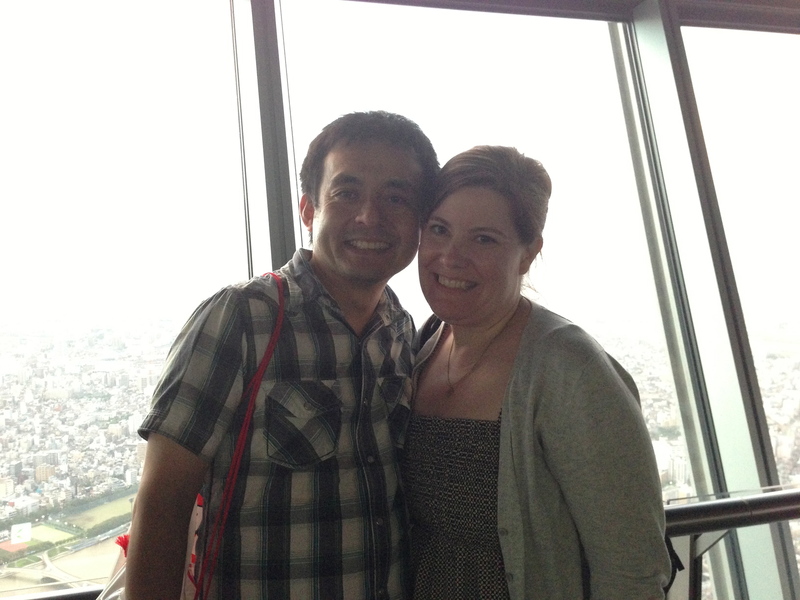 Of course, the metal grid underneath the glass made it less exciting… I’m a little bit sad to say that I haven’t been up in Tokyo Tower, the famous-but-shorter tower in the city…maybe next time? I love trees and this is quite a spectacular one.